Can one ordinary man make an extraordinary difference? 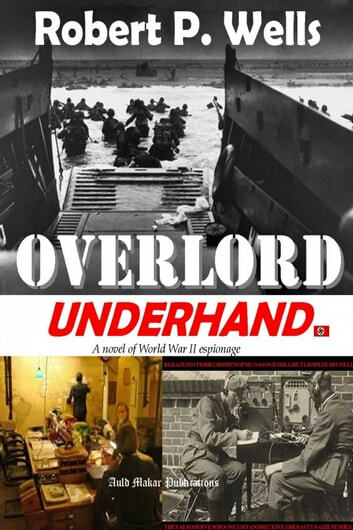 Overlord / Underhand, based on an amazing and inspiring true story, tells of the international espionage adventures of Luis Estefan, a Spanish national in London, a pacifist and a humanitarian working to defend democracy against Nazi tyranny during the Second World War. Estefan holds the key to the most crucial battle of WWII. He’s become Germany’s most trusted spy in Britain, but he is also a highly valued British double agent working with MI5. His risky deception about the Allied plans regarding “Operation Overlord,” the Normandy invasion in June of 1944, has the power to save D-Day. But will his Nazi spymasters believe him? Overlord / Underhand is an epic novel filled with surprising twists and turns about espionage and counter-espionage during the Second World War, the gripping true-to-life story of the clandestine war of deception waged by the British Secret Intelligence Service against the Nazi war machine in a high-stakes battle of wits and wills, led by the most unexpected spy the world has never known – until now. Judith in Hell: WRNS Officer Judith Burroughs, P.O.W.